Small children are like sponges, mopping up learning of all sorts as they grow, so they must be able to mop up a new language too, right? OK, but do they have to start very young? Fascinating new research using a viral internet study concludes that you can still make good progress in a new language up to the age of 18, but you will only be fluent if you start before age 10. So good news for secondary school students and teachers, but this confirms that an early start gives the best results. Well yes, this sounds like a great reason-but is it likely that your four year-old will be conversing fluently with the French campsite manager on your next holiday? Of course not. 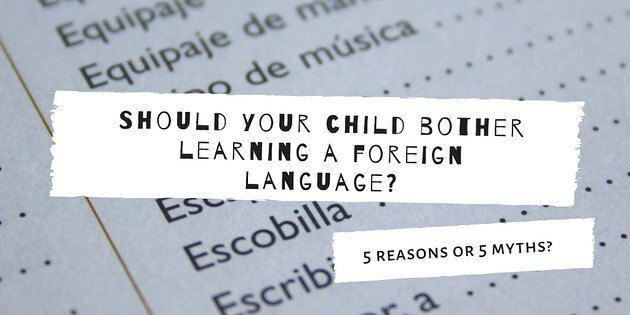 But that doesn’t mean an awareness from an early age that people speak different languages isn’t a good thing: it most definitely is. People in Britain and the US often only speak one language, but most children in the world are in fact bi- or multi-lingual. These children learn very early on about different cultures, different social interaction and learn to embrace and enjoy difference. What a huge advantage in today’s world. Only this weekend a young teacher told me, ‘I never got on with foreign languages. I’m no good at learning a language’. It turned out that her Spanish teacher was always away sick and so her experience of language learning at secondary school was poor. As important as the age you start is the quality of the experience. Classes for young learners are usually full of fun and games, singing, role playing and children enjoying themselves. Parents can also use this enjoyable approach when introducing a language at home. If the children take this enthusiasm into their later learning, it will make all the difference to their attitude and their progress. This might be of huge concern when you reach your 50's and 60's, but should it be a worry for a five year old? Probably not. Recent scientific studies demonstrate that learning a language can delay Alzheimer’s disease and dementia by several years. So if you can protect the brain from an early age, why not give it a go? But if you are older, don’t despair. The results hold good for those who learn at an older age too. So if you study along with your child, you can both reap the benefits. Another one that won’t really worry a five year old… But if you’re a parent, you may well be wondering early on how little Jane or John will fare out in the Big Bad World of Work, especially with Brexit, zero hours contracts and all the other scary prospects in store for them. Whether we welcome it or not, employment is global and a second language gives better job chances. So why not help your child to have fun, make new friends, boost their brain…and get a great job at the end of it? Looking for a place to start? Stay tuned for news on our upcoming series, Hello Languages!